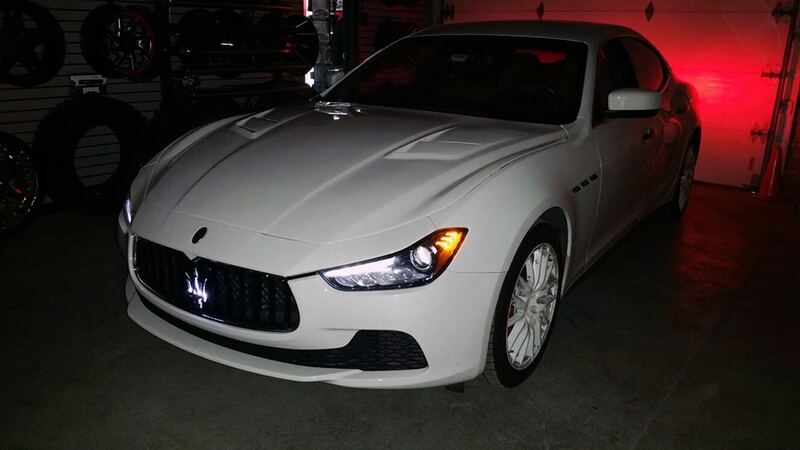 2015 Maserati Ghibli with a custom vented Maserati Racing Hood, and Maserati 7 Color LED Interior Lighting Kit with Smart Phone control. 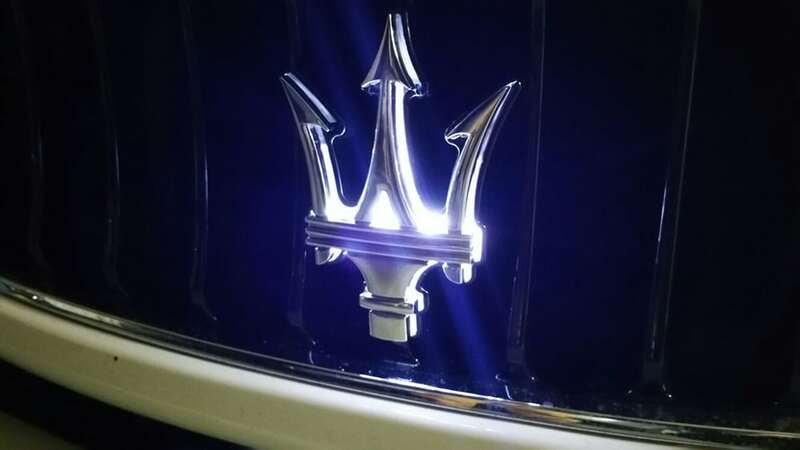 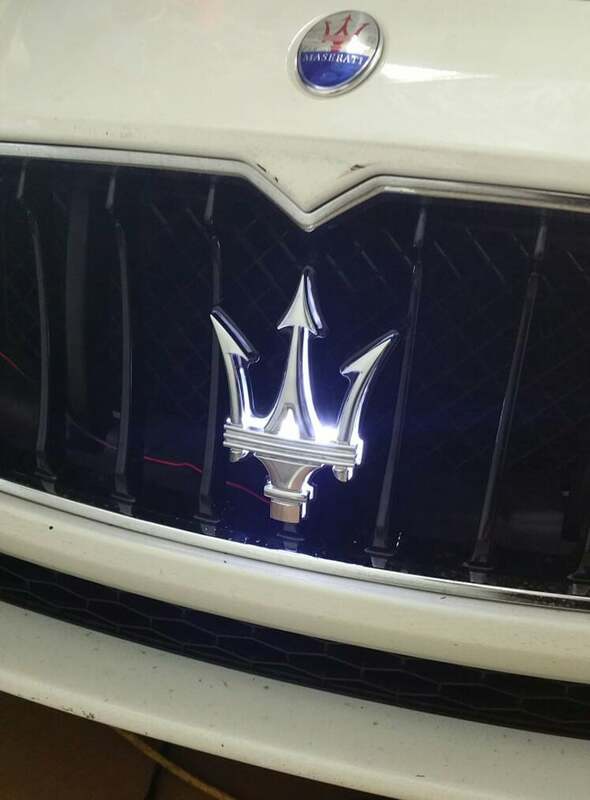 We also accented the front grill with a Maserati Trident Lighted Emblem in Super White LED Lights. 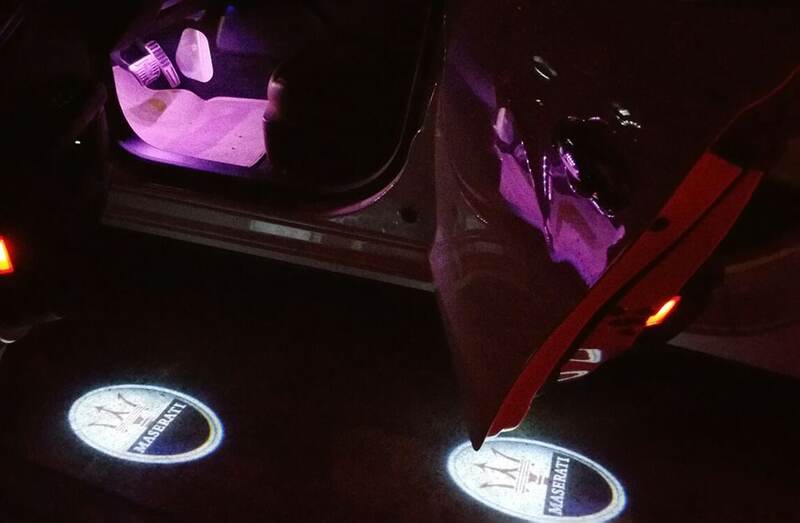 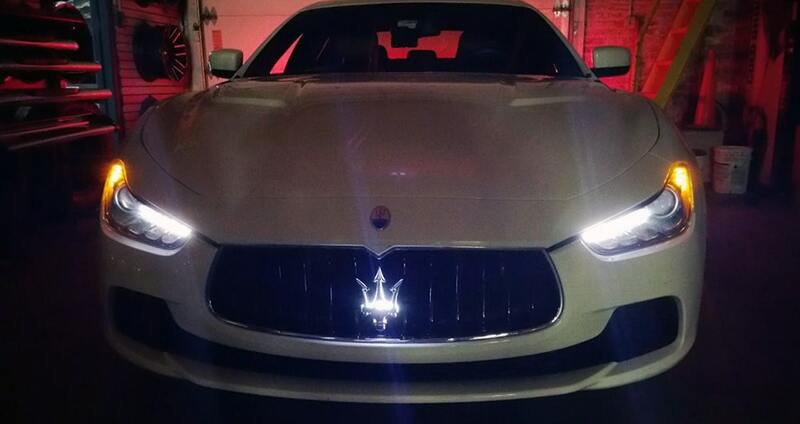 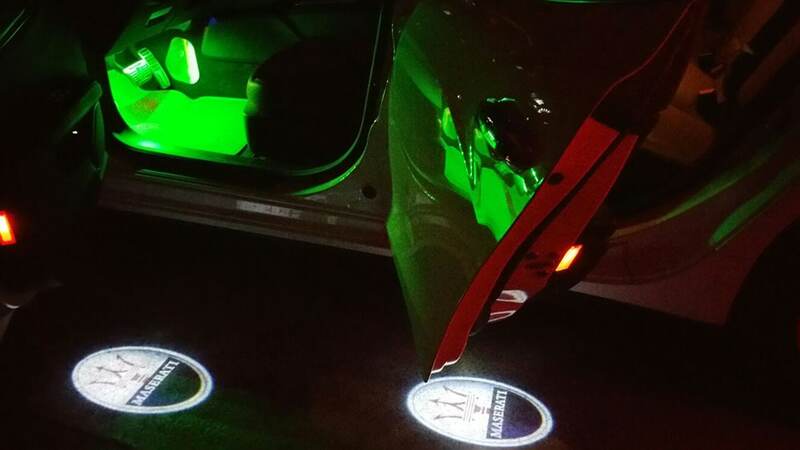 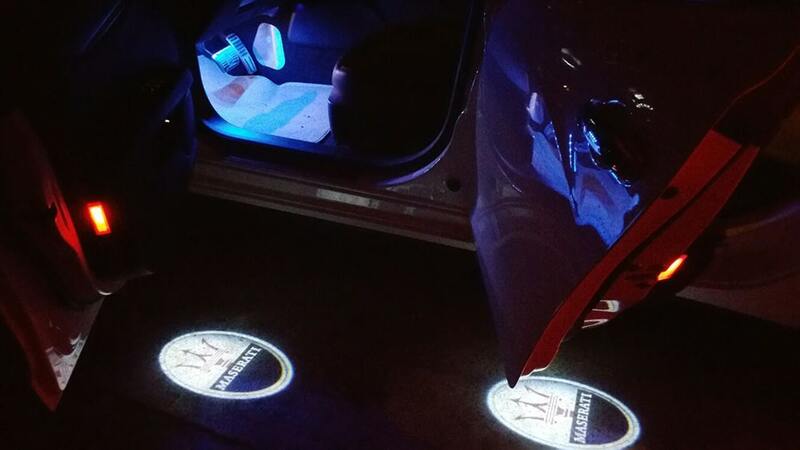 Maserati Door Projectors on all 4 doors were installed for a bright lighted entry into the vehicle at night time. 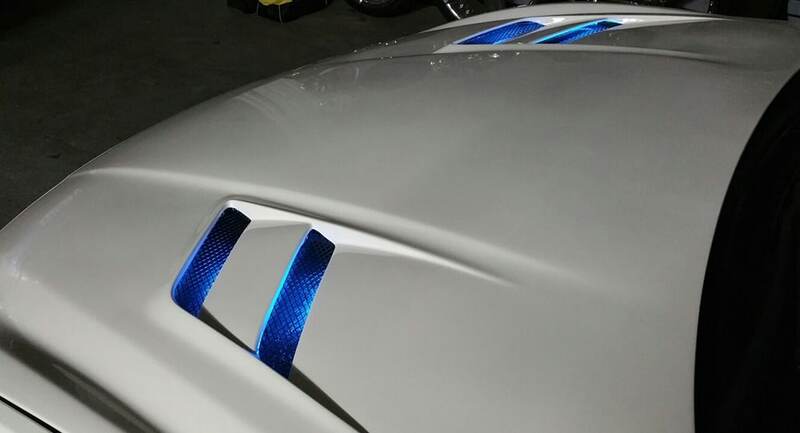 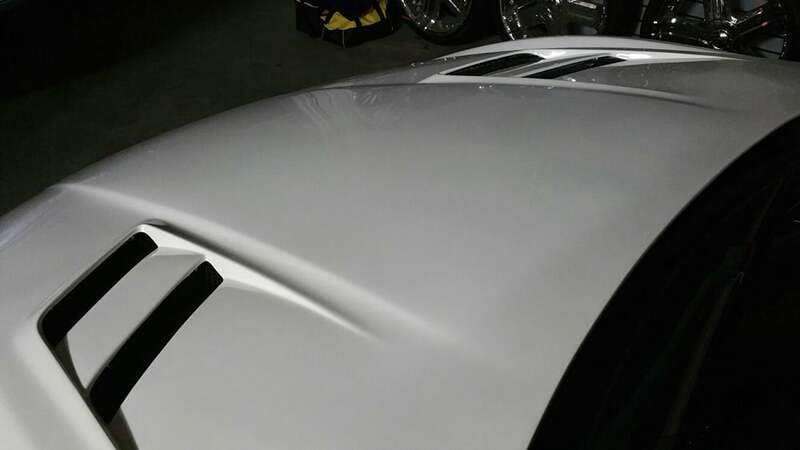 Another fine example and creation by the Auto Customizing Professionals at Mr. Kustom Chicago.